Sometimes, having too much options may not be a good thing. 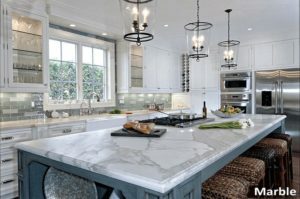 Well, here we are with the top 5 most common materials for your table and counter tops, including its pros and cons. We would like to specially highlight our personal favourite though, which is the Quartz top. 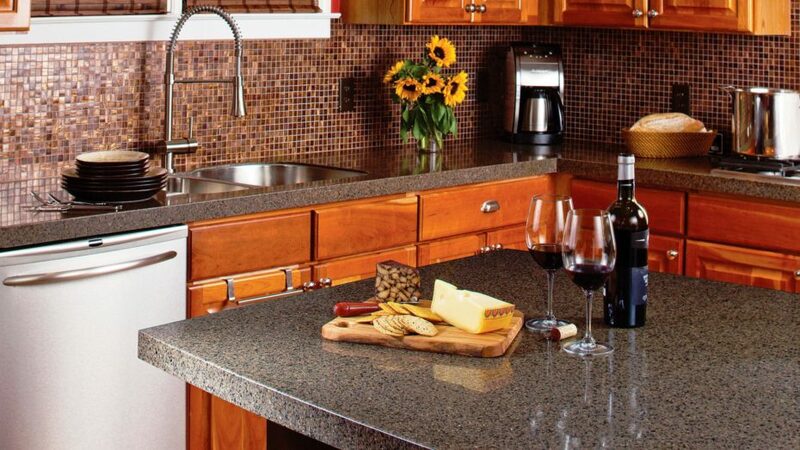 In comparison to Granite, it costs much lower, and is equally stain resistant due to its non-porous nature. 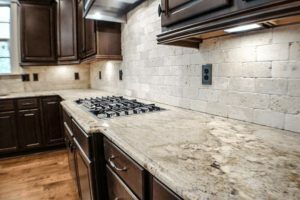 Durability ranks very high on Quartz, being made up of 93% natural quartz and 7% resin binder, it is actually harder than granite or marble. 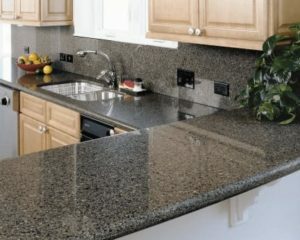 Pros: Many people fall in love with the beautiful designs and patterns of granite, many unique to its own. It’s durability is extremely high as well, standing up to heat , splashes, knife nicks and other wear and tear. Cons: It is much more expensive compared to other materials. Quality certainly comes at a price. 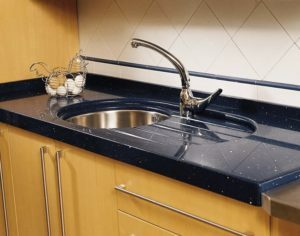 Pros: Solid surface also known as Corian surface tops has long enjoyed its popularity in the market. One of its huge advantage is that it is almost maintenance free. And there is a large catalogue of colours and design that you can choose from. Not forgetting it is the cheapest option. Cons: Solid surfacing be quite plain and artificial looking and its hardness does not stand up well to heat, knife knick as compared to many other materials. 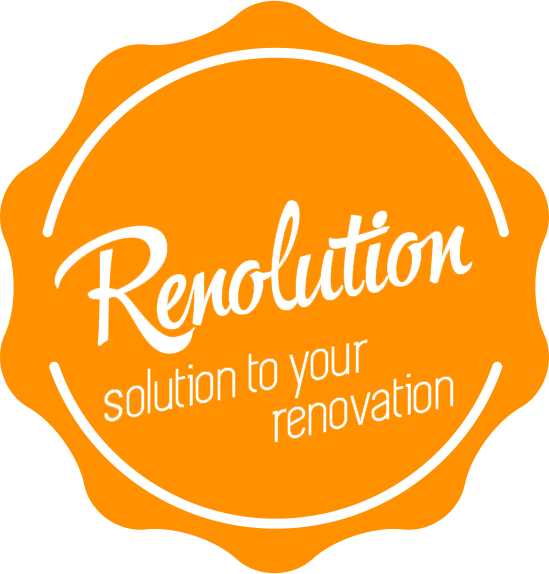 Crafted of resin and quartz chips tinted with colour, quartz surfacing (also called engineered quartz or engineered stone) is a good compromise between the beauty of stone and the easy care of solid surfacing. Pros: Quartz surfacing has the same advantages as solid surfacing with regard to maintenance. As an engineered product, it’s available in a far greater range of colours and patterns than natural stone. Cons: This material doesn’t have the natural variegation of granite, so it may be evident that it’s an engineered product. It’s relatively pricey, although its durability can make it a worthwhile investment. Pros: Nothing beats marble for sheer elegance. It stands up to heat well, and because it remains perennially cool, it’s a traditional choice for pastry and baking stations (read: Dough won’t get too soft). Cons: Marble is very susceptible to stains, even with sealing. For that reason, it’s not often used throughout an entire kitchen — most homeowners limit it to one or two small areas. It can also scratch and chip. Not forgetting it is expensive. Once found mostly in commercial kitchens, stainless steel has become more popular now due to all the Reality cooking shows. 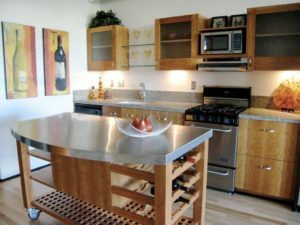 Everyone feels like a real chef once you have a stainless steel look in your kitchen. Pros: Stainless steel is highly used in restaurants and high traffic kitchen. It is highly resistant to a lot of things, from heat to bacteria to knife. Plus it also provides a very distinctive look that feels appropriate in contemporary and industrial-style kitchens. Cons: Fingerprints mark do show and must be wiped off frequently, and it can also dent. It can be loud as pots, pans and dishware clang against the surface. Well some do like this effect as it make you seem busier then you usually are in the kitchen. Chemicals can affect its colour and cause unwanted etching. It is expensive as it requires customization.